China has carved itself a place as a major player in the pharma industry due to the number of clinical trials it is running, thanks to the reforms it has put in place. As the world’s second-largest national pharmaceutical market in 2017, worth $122.6 billion, China was also the biggest emerging market for pharmaceuticals, with growth tipped to reach $145-175 billion by 2022, according to healthcare information firm IQVIA. The reasons for this are a combination of the country’s regulatory reform and the China Food and Drug Administration (CFDA)’s stance on prioritising drug innovation and ensuring that clinical trials and information are of a high standard. It is hoped that the CFDA’s approach will mean that the major challenges to China’s position as an R&D authority – backlogs of drug applications, long timelines for regulatory review and questions about the quality of locally-produced drugs – will be met. The ageing population is undoubtedly a factor when it comes to China’s push to expand its clinical research pipelines. The incidence of diabetes and cancer is rising sharply and the need for therapies is clear. The majority of diseases in the country are non-communicable, and smoking is a major cause of cancer. In fact, the main cause of death in China is cancer, with the China National Cancer Centre finding that more than 780,000 people are diagnosed with lung cancer every year, underlining the need for national, targeted measures to tackle the disease. China is home to one-third of all new cancer cases globally. In a drive to address this growing problem, China is making strides in the development of CAR-T immunotherapy, whereby chimeric antigen receptor (CAR) is inserted into T cells, which are a type of white blood cell. There are reportedly 116 CAR-T clinical trials registered in China – more than in the US. Also, AstraZeneca and Merck’s Lynparza (olaparib) recently became the first poly (ADP-ribose) polymerase (PARP) inhibitor in the country to treat platinum-sensitive recurrent ovarian cancer. It is the first overseas drug to be sanctioned under China’s new priority review policy on the basis of data from international sources. There were 33,075 diagnosed cases of ovarian cancer in urban China in 2017, according to data and analytics company GlobalData. The number of incident cases is expected to increase to over 46,000 by 2027. These types of drugs have been used in the US and Europe for several years and China is a new market – obviously beneficial for patients as well as pharma – and the fact that such drugs are able to reach those who need them more speedily is momentous. There was previously no treatment in China for women with recurrent ovarian cancer. Reform has undoubtedly paved the way for such progress. Last year, the International Council for Harmonisation of Technical Requirements for Pharmaceuticals for Human Use (ICH) approved the CFDA as a member. The ICH’s mission is to “achieve greater harmonisation worldwide to ensure that safe, effective, and high quality medicines are developed and registered in the most resource-efficient manner”. Joining the ICH means China will follow all of the body’s guidance and requirements. This will help to increase patient access to safe, effective, and high quality pharmaceuticals, and also ensure that the latter are developed and registered properly. Along these lines, China’s “Opinions on Reforming the Review and Approval System for Drugs and Medical Devices” was issued by the country’s government in August 2015. Its main purposes are to: eliminate the backlog, upgrade the quality of generic drugs, encourage new drugs in R&D in line with global development, and improve the quality and transparency of the review and approval process. The review process is due to be lowered from five years to six months by the end of the year. 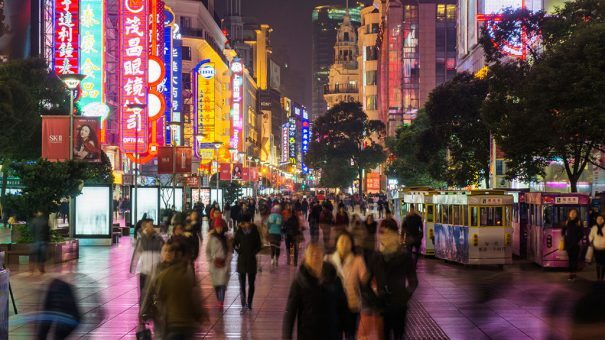 Another consideration is that China has changed its policy on contract manufacturing organisations (CMOs) so it can accept overseas clinical trial data. The registration requirements for imported drugs have been softened, drug lag times have been shortened, and foreign investors are being encouraged to undertake global studies in China. One such company is Japan’s pharma giant, Takeda, which is taking a keen interest in this blossoming market. The firm’s CEO, Christophe Weber, said its China-based programmes are only second to those it runs in the US. Weber has reportedly said that Takeda is planning to sell seven new drugs in China over the next five years, as Takeda’s plans to buy Dublin-based rare diseases specialist pharma company Shire are expected to complete next year. He said there was “no reason in the long term China shouldn’t be our second-biggest business in the world” adding that he hoped to be able to add new products in the country at the same pace as is achieved in the US and Europe. Promisingly, Weber referred to China as a ‘core’ country, saying that Takeda regards it in the same way as it does the US and Europe in terms of research, new drug development and reimbursement. China’s growing openness and reforms have already resulted in changes. The Financial Times reports that AstraZeneca and Pfizer, the two largest overseas pharma companies in China, found that sales rose by 24% in the last financial quarter, compared to the same period in 2017. The Chinese pharma industry is undoubtedly playing catch-up to get to where it wants to be, but state insurance means that costs, which were high because companies were selling branded off-patent drugs, have been lowered so they can be added to state co-payment schemes that attract reimbursements. And, it is worth noting that the country is keen to boost its domestic pharma market – there are around 5,000 domestic drug manufacturers in China, many of which are SMEs focusing on generics, active pharmaceutical ingredients (APIs) or traditional medicine. It is likely, as innovation and practices become more streamlined, that the global market won’t have such a toe-hold in China, but rather that Chinese products are used more widely within the country and elsewhere, as high-quality generics are produced.